P as in "potent battery". 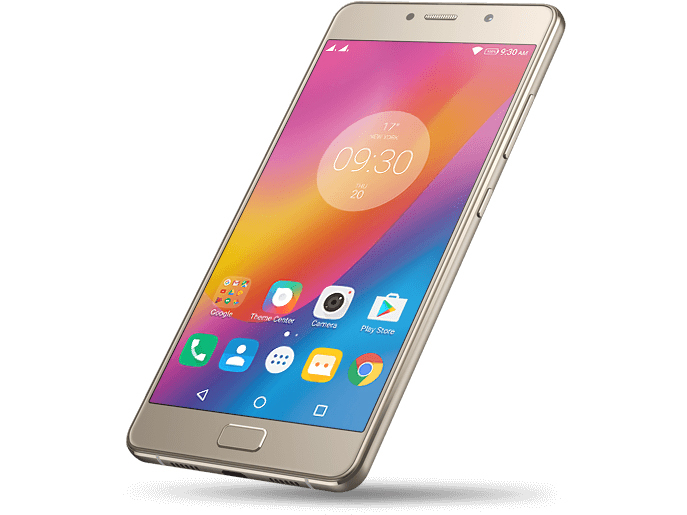 Lenovo launches a powerful mid-range handset called P2 on the market. The highlight is supposed to be its gigantic battery that is hidden in a relatively compact casing. The battery life is, in fact, top notch but what about the smartphone's other aspects? If you want a good deal on a phone that also ensures you’ve got a bang-up-to-date device, rather than an older model, look no further: this is the newest and current king of budget smartphones. Lenovo P2 is a model suitable for people who don’t enjoy charging their phones too frequently. It can give you several days of work without the battery even crossing your mind, which is often one of the main features that the users demand these days. If you think, however, that your phone is running low on battery, the Ultimate Power Saver mode will make sure to delay your encounter with the charger. Besides the battery, however, P2 has everything else that you would expect to see in a middle-class smartphone. Soon, you will be able to also order the Moto G5 Plus, and this is the phone that gives the Lenovo P2 a true run for its money: it's expected to feature great battery life (not quite as P2 great), it has newer and much more nimble software, and it has a faster camera. But if you’re all about that battery and can overlook its flaws, the Lenovo P2 is definitely a very good option. The P2 would be a pretty decent £200 phone if it had average battery life - so with a 5100mAh cell on board, it’s an absolute blinder. If the Lenovo P2 had nothing to recommend it but a three-day battery life, that would probably be enough to earn it a recommendation. The fact that it backs this up with a capable screen, nippy performance and some interesting features means it gets a ringing endorsement. There are many smartphones in the market today with large battery packs, but the Lenovo P2 is probably the best of the lot, from what we have tested. The company has done well to provide a value for money package to the end consumer. The one thing that disappointed me was the camera, but besides that I was quite satisfied with the experience. If you are looking for a big battery smartphone, this is the one to go for. Positive: High autonomy; solid workmanship. Negative: Poor cameras. Lenovo kicked off 2017 with the launch of the P2. Built-wise, it sports an all-metal body, and the aluminium material certainly feels firm and solid. At first glance, it bears semblance to Samsung’s J series. It weighs 177g with dimensions measuring at 153 x 76 x 8.3mm. The design is kept minimal, which makes this smartphone feel good to the touch. It is fitted with a 5.5" Full HD (1920 x 1080) display which offers users a rich and crisp visual experience. The Lenovo P2’s Super AMOLED screen technology aims to maximise clarity and sharpness whilst minimizing power consumption. The AMOLED screen definitely makes viewing at it a pleasure. It is apparent that its battery life is the P2’s selling point as it is packed with a massive 5100 mAh battery (the battery is nonetheless not removable). The active standby is capable of up to a whopping 32 days. Yet it is able to achieve this feat whilst maintaining a slim and sleek profile. The nifty One-Key power saver further enhances battery life whereby users can easily slide the exterior button to power down the smartphone instantly. Furthermore, the P2 is bundled with a 24W rapid charger which gives 10 hours of battery life in just 15 minutes of charging. The P2 not only frees users from the need of carrying a powerbank but it also doubles up as a battery pack for other devices. In terms of performance, it is powered by the 64-bit Qualcomm Snapdragon 625 processor with up to 4GB of RAM. Multitasking, social networking and gaming all at once is a non-issue. In fact, this phone packs enough hardware for more heavy usage. It also runs on the latest Android 6.0, Marshmallow. The P2 will draw shutterbugs as it is equipped with a 13MP PDAF rear camera with a Sony sensor and LED flash as well as a 5 MP front camera. It is also capable of supporting two sim cards with 4G LTE connectivity. The P2 is built with plenty of storage and is expandable up to 128GB via a microSD card. Connectivity includes both Bluetooth and WiFi, as well as FM stereo, something that is missing from even the most advanced smartphones these days. It comes in two colour variants i.e. champagne gold and graphite gray. It is also integrated with a fingerprint sensor which enables easy and fast locking and unlocking as well as customization of gestures for faster connectivity and networking. Its fingerprint sensor is as fast as the ones found on the newer generation Xiaomi and Huawei devices. Its attractive pricing, in all, gives it an edge over its mid-range contemporaries such as the Samsung J7. 88.54%: This is a good rating above average. Nevertheless you should not forget, that 10-15% of all notebook-models get a better rating.